How can cosmetic procedures be made safer? Plastic surgeons say that new rules for the cosmetic procedures industry fall far short in ensuring patient’s safety. Is more stringent regulation the answer? In 2013 Sir Keogh’s report into cosmetic surgery highlighted key concerns with the current regulations in place in the UK and set out recommendations to improve patient safety. Unfortunately, the latest Governmental rules do not uphold many of the key suggestions. The regulations have received much criticism, being deemed a ‘wasted opportunity’ to improve patient safety within the cosmetic surgery industry. The report was prepared last year by Sir Bruce Keogh, Medical Director of the NHS in England. He warned that dermal fillers (substances injected under the skin to plump out the face) could cause lasting harm and was a crisis waiting to happen. It also called for those performing cosmetic procedures to be properly trained, qualified and registered. Alarmingly, neither of these issues were addressed in the Government’s recent regulations. “Frankly, we are no less than appalled at the lack of action taken”. “Most shockingly of all, the fact that there is no requirement for the actual surgeon involved to obtain consent for the procedure makes a mockery of the entire process. It’s business as usual in the wild West and the message from the Government is clear: roll up and feel free to have a stab”. Whilst the Royal College of Surgeons will be heavily involved in determining the level of training and qualification that cosmetic surgeons require, their remit does not extend to other healthcare professionals who may be involved in cosmetic procedures, such as dentists, nurses and GPs. Dermal fillers in particular were a cause for concern in Keogh’s report as anyone at all can set themselves up as a practitioner offering this procedure. There is no requirement for training, experience or knowledge and yet the products can have permanent damage. 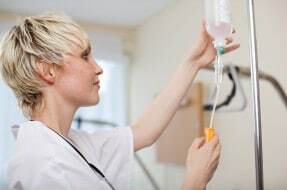 Action Against Medical Accidents (AvMA), the patient safety charity, have commented that they too are disappointed not to see that providers of cosmetic treatment are not subject to registration and regulation, nor is a proper compensation scheme in place for victims of the industry. Cosmetic surgery carries risks even when performed properly but the risks increase hugely if performed by untrained practitioners. The effects can be devastating and examples include infection, facial swelling, bruising, nerve damage, necrosis and even blindness. With the potential for such side effects, the lawyers at Clinical Negligence Team are disappointed to see that stronger regulations have not been put in place to prevent problems with cosmetic surgery. This is an area which requires stringent regulation, particularly as to who can carry out certain procedures which carry risks to patients. Such regulations are essential to ensure patient safety as far as possible. We act for clients who have been affected by substandard cosmetic surgery. Tragically, we see cases where the client was seeking a relatively small improvement in their physical appearance and have been left with life changing physical and psychological injuries. If you believe you may have received negligent cosmetic surgery then please contact a member of the team, who will be happy to discuss things further with you.